Thoughts on Cloud Computing, technology, business, gaming and graduate school. Three days ago, Nokia has finally released to the world the much anticipated Operating System update for a select number of Nokia phones shipped with Symbian^3 and Symbian Anna. Christened as "Nokia Belle," the update was meant for older handsets, the N8, E7, X7, C7, E6, C6-01 and Oro. By the way, If you haven't heard or seen the Oro, there's a reason why. I was able to update my Nokia N8 handset running Anna with no issues. However, the Belle update requires a user to do it using a Windows PC running the latest version of Nokia Suite. The download is around 300MB and the actual update from Anna to Belle, including backup took almost an hour. Using Nokia Suite to update is not exactly pleasant, but the same can be said about iPhone iOS updates with iTunes. I would expect the incremental and security updates to Belle can be installed directly from the phone in the near future (just like how Symbian^3 and Anna updates were delivered). Belle retains the "squircle" icon style which I think is very stylish and makes Symbian distinct. The Nokia Pure typeface is now standard. The combination of both makes Belle look "slim". With Belle, it is possible to create up to six home screens which you can customize to your liking by adding application shortcuts and widgets. Adding shortcuts and widgets are more quicker and more flexible with Belle, with more detailed icon positioning and layout. It would have been nice if Nokia is able to force all application icons to be squircle shaped as a lot of third party apps still have oddly shaped icons that destroy the consistent design of the interface. The Application Menu also got an obvious facelift: Belle defaults to a flat menu structure and gives the user the freedom to create application folders. Belle also has a new feature called the Pull down notification drawer which looks similar to functions provided in Android and iOS 5. 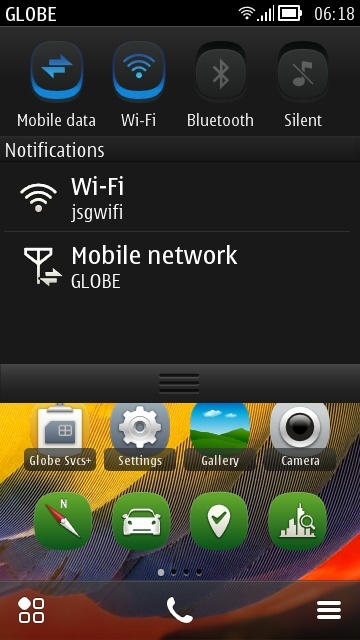 Network, call and message status appear from the drawer. 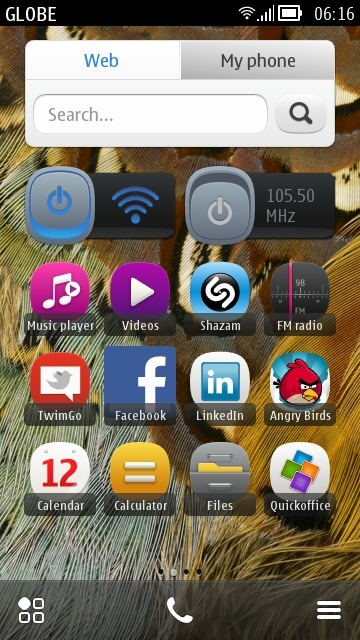 You can also turn on/turn off device settings from the drawer, just like how you can do it with Android. One thing I noticed about the Belle update: the operating system is very responsive. Switching between home screens is so smooth - it is almost comparable with an iPhone 4 running iOS 5. You wouldn't even notice at all that the N8 only has a 680MHz processor with 256MB of RAM. But here is a a nice bonus that you get from the Belle update: the camera can now shoot 720p videos at 30fps in continuous autofocus. This is only possible with the N8 as the other Nokia cameras compatible with Belle use a fixed focus lens. There are still some apps from the Nokia Store that are still incompatible with the new update though. 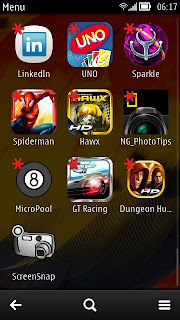 Nokia has provided a list of these Belle incompatible apps. Its not a huge list, but given the current number of quality apps in the Nokia Store, one would hope that we'll see some new Belle optimized apps in the future. Microsoft has committed to release Lync and a slew of Office-related apps after the Belle release so that's something to look forward too. But I have to face reality. Nokia Belle is the N8's swan song. There is no doubt about that. Nokia has started shipping 1GHz phones running Belle and to an extent, some models with Symbian Series 40, a less capable OS. 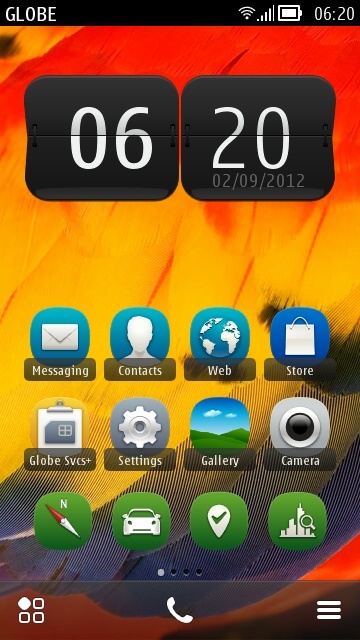 After 3 major OS updates (Symbian^3 (2010), Anna (2011), then Belle) the N8 is now feature complete. If Belle came out the same time as the N8, Nokia would still be riding in the Symbian wave of success. But right now, the N8 is still one of the better, if not the best camera phone available in the market despite the aging hardware. The 12MP AF Carl Zeiss camera still packs the biggest camera sensor in a phone to date; and the Xenon flash pretty much defeats every flash module installed in all camera phones out there. And that statement would be true, until the N803 comes out. All the opinions here are of my own and not influenced by anyone. Awesome Inc. theme. Powered by Blogger.